I have a full Bose audio and navigation system with telematics unit, speakers, sub, amp and harnesses for sale. Looking for 550 shipped to you (US only). 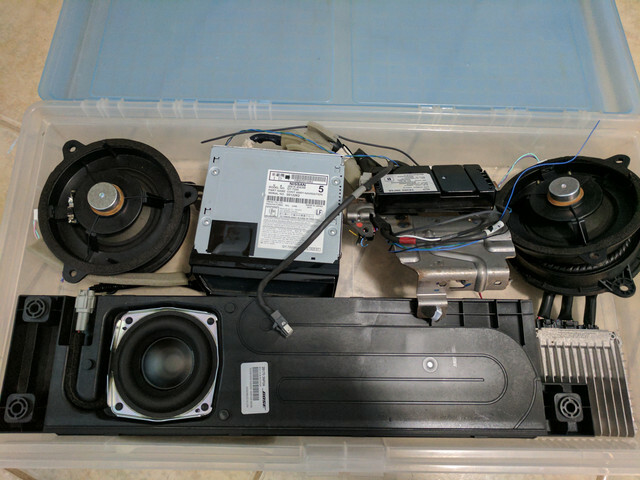 Would you consider selling the head unit without the speaker system? If so, how much are you after? If you do split it, I may be interested in the rest of the setup. I would split the unit. Make me an offer via PM. Still available. Nice unit upgrade. akkord64 wrote: I have a full Bose audio and navigation system with telematics unit, speakers, sub, amp and harnesses for sale. Looking for 550 shipped to you (US only). I’m interested in taking the whole lot off of your hands if it is still available!